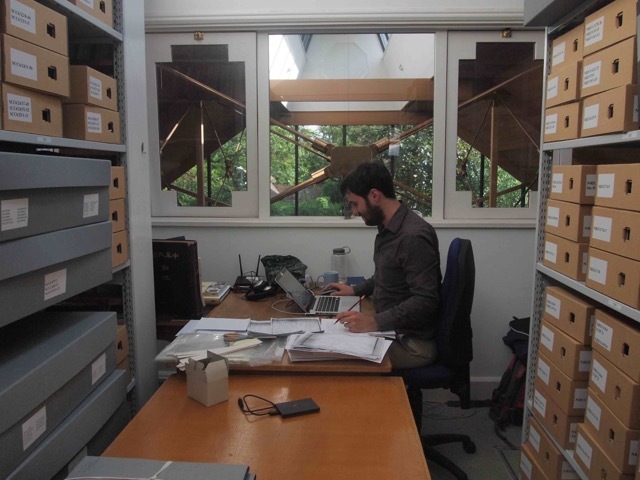 Dr Paul Bevan is a Research Associate and Teaching Fellow at the School of Oriental and African Studies (SOAS) where he teaches courses in the History and Culture of China and Classical Chinese. He has taught Modern Chinese Literary Texts at the University of Cambridge and at the University of Oxford where he recently completed a 14-month period as Departmental Lecturer in Modern Chinese Literature and Lecturer in Chinese at Wadham College. Paul’s forthcoming book A Modern Miscellany: Shanghai Cartoon Artists, Shao Xunmei’s Circle and the Travels of Jack Chen, 1926-1938 is soon to be published by Brill, Leiden. In this book Paul explores how the cartoon (manhua) emerged from its place in the Chinese modern art world to become a propaganda tool in the hands of left-wing artists. The artists involved in what was largely a transcultural phenomenon were an eclectic group working in the areas of fashion and commercial art and design. The book demonstrates that during the build up to all-out war with Japan the cartoon was not only important in the sphere of Shanghai popular culture in the eyes of the publishers and readers of pictorial magazines but that it occupied a central place in the primary discourse of Chinese modern art history. Paul has also worked extensively as a musician and his engagement with eighteenth-century European music, both as a researcher and performer, informs his studies on the history of art during this period. As British Inter-University China China Post-doctoral Fellow and Consultant I am working with the National Trust and the University of Manchester on a project concerning two eighteenth-century clocks in the collection of Anglesey Abbey in Cambridgeshire. The history of these impressive objects, which I’m now in the process of unravelling, is both fascinating and complex. One of these clocks, known at Anglesey Abbey as the “Pagoda Clock”, has recently been carefully and painstakingly conserved by the clocks department at West Dean. During the conservation process several small scraps of paper thought to be from a Chinese newspaper were found in the clock. They had been used as padding to pack the enamel panels found on the clock, possibly to secure them in transit. The discovery of these scraps of paper was taken as proof that the clock had spent some time in China. From what I’ve been able to discover in the first stages of the project, it can be shown that another clock, described in the National Trust collection as the “Tower Clock”, also spent some time in China. Whilst examining the clocks with Christopher Calnan of the National Trust, we found, scratched crudely inside the clock, two Chinese characters, no doubt inscribed to identify the panels when the clock was being assembled. One of these characters very clearly reads you 右(right) and the other, which is much less clear, appears to read shang 上(upper); together they translate as “upper right”. The histories of both the Tower Clock and the Pagoda Clock form the basis of the research project. Letter Paper- These two small scraps of off-white paper do not tell us anything significant about the history of the clock as there are only two characters, written in ink, found on one of the pieces and a minute fragment of another single character on the other. The readable characters are si jiao 四角 (‘four corner’ or ‘corner four’) and may have been written on the paper simply to indicate that this was to be used to repair ‘corner four’ of the clock. Scraps from a Single Sheet- No complete sentence can be found here, but it has been possible to identify the origin of the woodblock printed sheet by the vocabulary used. There are two possibilities: either it is part of a leaflet giving the instructions for a type of lottery popular at the end of the nineteenth century, or it is part of a lottery ticket itself. The lottery, known as Weixing 闈姓, required the player to guess the family names of the candidates put forward for the imperial examinations and the order in which they would be placed in the exam. This type of lottery was particularly popular in Southern China in the 1880s and 1890s. It came to an end when the Chinese civil service examination system was disbanded in 1905. These scraps of paper do not tell us all that much about the clock except that it was in China during the late nineteenth century. Newspaper- The scraps of newspaper are clearly of a later date as can be seen from the type of print used and the vocabulary found within the text. However, these also present problems, as again, no complete sentence is decipherable. The actual date of the newspaper is not shown on any of the fragments, so dating the scraps has had to be done with reference solely to the vocabulary. The earliest year in which the newspaper could have been published is 1912; the year of the founding of the Chinese Republic. This can be seen from the official title Guowuyuan 國務員 and related terms, found within the various fragmentary sentences. The latest possible date can also be deduced from the vocabulary and this is October 1914; the year that Shuntianfu 順天府 (Shuntian Prefecture), as mentioned in the text, was abolished as an administrative unit. After this time it became the Jingzhao difang 京兆地方 (Capital district); part of the city of Beijing. Of course this method of dating is by no means fool proof as the text could be referring to events which had occurred before the time of publication but I would suggest it is likely to be more or less accurate and, after all, at this stage it is all we have to go on. This has been the first step in a long process in discovering the history of the clocks at Anglesey Abbey and when they were last in China. More on this and on how I have been able refine these dates further will appear in my next post. 1] Zhongguo lishi diming cidian 中國歷史地名辭典 (Dictionary of Chinese Historical Place Names). Nanchang: Jiangxi jiaoyu chubanshe, 1986, p. 651. Dong, Madeline Yue: Republican Beijing: The City and Its Histories. Berkeley: University of California Press, 2003. In October 2015, Amy Jane Barnes will commence a three month BICC Cultural Engagement Partnership at the British Library. During the course of this project she will catalogue the Library’s collection of Chinese propaganda posters, as well as investigate opportunities for its digitisation and display online. 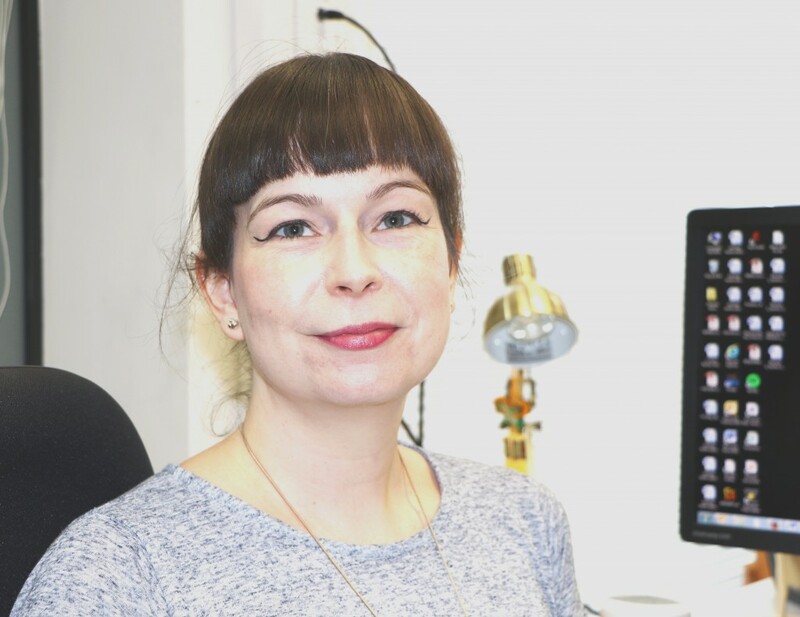 Prior to this appointment, Amy was employed by the School of Museum Studies at the University of Leicester as a Research Associate and has, in the past, worked in various capacities within the School and the wider University, and as a freelance researcher, curator and editor. She completed her AHRB/C-funded PhD in the School of Museum Studies in 2009 and graduated in 2010. She has a background in Asian Art History and was formerly Curatorial Assistant at the Percival David Foundation of Chinese Art (2000—1). Amy’s doctoral research looked at the collection, interpretation and display of the visual culture of the Chinese Cultural Revolution in British museums. A monograph, Museum Representations of Maoist China, which is based on this work, was published last year (2014) by Ashgate. In addition to a number of other writing projects, she is currently collaborating on the development of a Leicester Reader in Heritage and Interpretation. 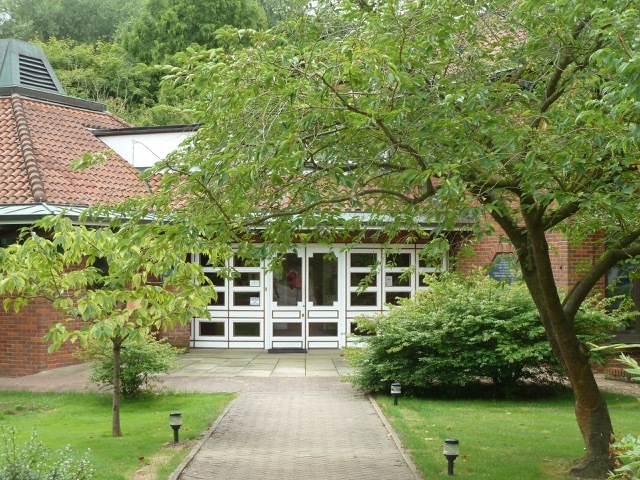 In early July, I began work at the Needham Research Institute in Cambridge, which holds a unique collection of material relating to the life and activities of Dr Joseph Needham (1900-1995). He was a noted biochemist whose varied career went on to included holding prominent posts at the University of Cambridge, acting as the driving force behind putting the ‘S’ in UNESCO (the United Nations Educational, Scientific and Cultural Organization), and dedicating the latter half of his life to the history of science in China, particularly through his Science and Civilisation in China project. 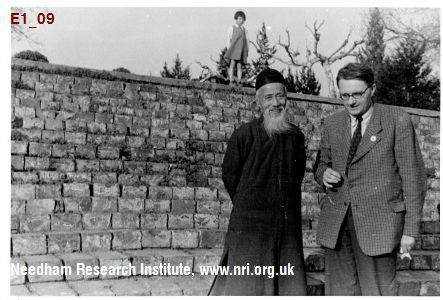 Thanks to the BICC’s Cultural Engagement Partnership, I am working with the NRI’s Librarian, John Moffett, on a series of activities that focus on Joseph Needham’s wartime activities in China. The first is a major digitisation project that will make a collection of material freely available in high resolution via the Cambridge Digital Library. During his travels, Dr Needham took and collected over 1,200 photos, as well as keeping a series of incredibly detailed travel dairies and sketchbooks. Together, these give us a fascinating and unique portrait of his own journeys and life throughout ‘free China’, from the country’s wartime capital, Chongqing (Chungking), to remote villages in the Gobi desert and research stations in Sichuan Province. Along the ways, he got to know numerous important Chinese politicians and scientists, such as Zhu Kezhen (Coching Chu). His journeys not only intersected with those of British diplomat and explorer, Eric Teichman, as well as radical New Zealander, Rewi Alley, an important figure in the ‘Gung Ho’ Chinese Industrial Cooperatives during the war who went on to become one of the People’s Republic of China’s most famous ‘foreign friends’. This collection will also be of interest to anyone interested in the history of organisations like the China Inland Mission or Friends’ Ambulance Unit. Our project will be bringing the whole collection together in one place – and make it all available in high resolution – for the first time. We’re also creating a bunch of new material that will help make this collection even more engaging and easy to use, including indexes of people, places, and institutions, as well as updating and editing transcripts of the dairies. This should all be available in the early New Year. In the meantime, you can see a selection of Dr Needham’s dairies and photos online thanks to the International Dunhuang Project, while lower resolution versions of Dr. Needham’s wartime photos are currently available via Visualising China. My doctorate in history at the University of Bristol focused on the intersection of international science and Chinese foreign relations. That project looked at Chinese scientists’ state-sponsored international activities in the early decades of the Cold War, particularly their evolving interactions with organisations such as the World Federation of Scientific Workers, at events like the Pugwash Conferences on Science and World Affairs, as well as with individual scientists in the West, particularly those in Britain. 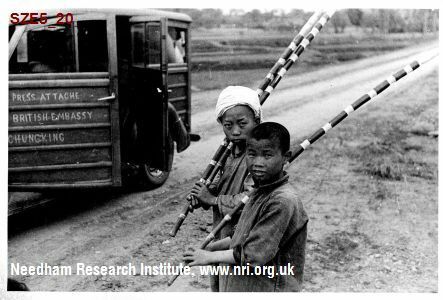 This BICC Cultural Engagement Partnership project with the NRI has been an opportunity to make use of my own research background and interests while helping increase awareness about and widen access to the NRI’s fascinating archival collection. I’ve been very lucky to be based in the Department of History while at Bristol, in no small part because it is deeply involved in public history in its many forms, from projects like Know Your Bristol and Impact of Conflict, right up to the new Hong Kong History Project. As a Deas Scholar, I’ve had the chance to help out with many aspects of the department’s annual Past Matters Festival of History, which includes a whole range of different public events, which have included not only lectures and film screenings, but also neighbourhood and family history days. I’ll be writing more posts with updates about what we’re up to and the latest developments as I get further into this BICC Cultural Engagement Partnership project with the Needham Research Institute. In the meantime, do be sure to join us in Cambridge on Saturday, 12September to see first-hand what we’ve done so far.